This is one of those recipes that you can enjoy for lunch or for dinner. I even ate it cold and paired it with a side salad. There’s no wrong way to enjoy this one! 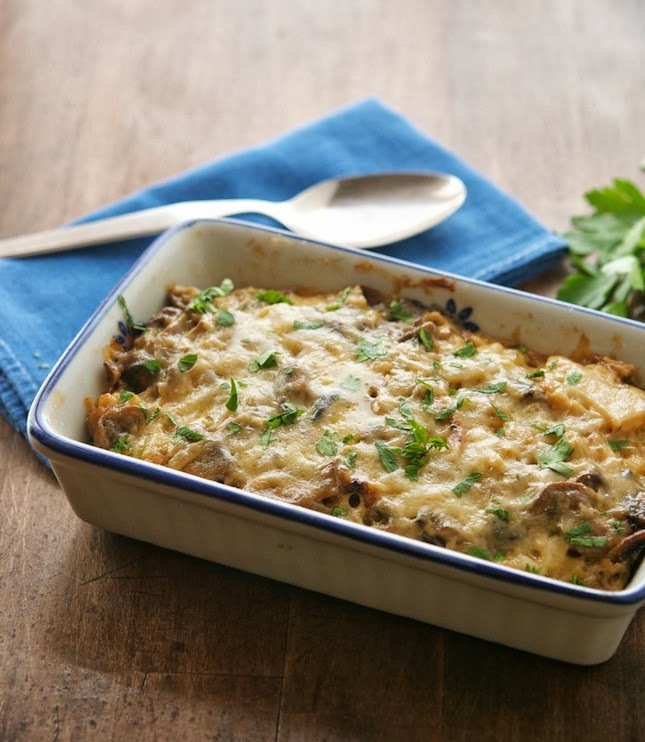 Caramelized Cauliflower and Mushroom Casserole – Easy and healthy comfort food! Preheat oven to 425°F (220°C) and place a rack in the middle. Rub a medium-large baking dish with a bit of olive oil and set aside. Spread cauliflower florets in an even layer on a rimmed baking sheet. Drizzle over 1 tablespoon of olive oil and sprinkle with coarse salt and pepper. Roast in the oven for 30 minutes or until the cauliflower is lightly caramelized, turning once. In the meantime, in a large skillet over medium-high heat saute the mushrooms in ½ tablespoon of olive oil sprinkled with a couple of pinches of salt. Stir every minute or so until the mushrooms have released their liquid and have browned a bit. Add the onions and cook for another 4 to 5 minutes until translucent. Stir in the garlic, cook for another minute and remove from the heat. When the cauliflower is ready, add to the skillet and stir until combined. In a large bowl combine eggs, cheese and Greek yogurt. Add cauliflower mushroom mixture, stir until well combined and turn out into your prepared baking dish. Sprinkle with Parmesan cheese and cover with foil. Lower oven temperature to 350°F (175°C). Bake in the oven for 30 minutes. Remove the foil and bake for 10 minutes, until golden around the edges. 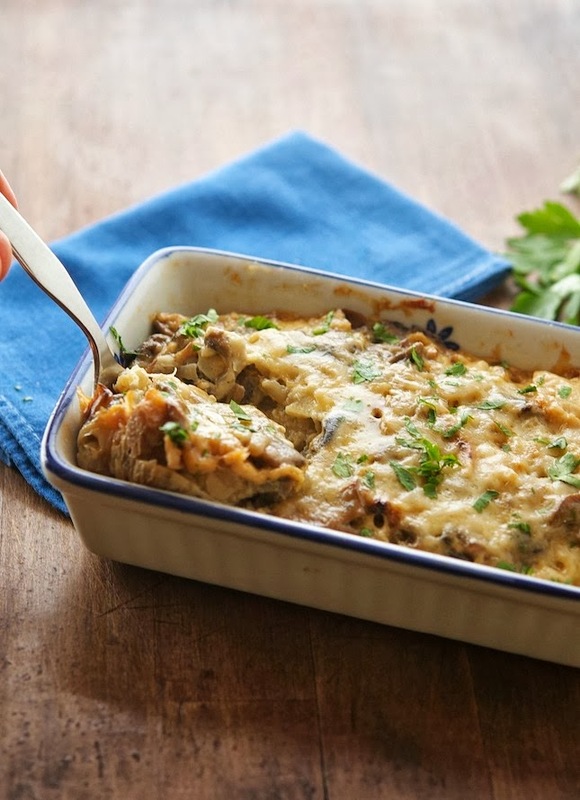 It’s great and since you’re 💜raising little humans💜, you know how convenient casseroles are!